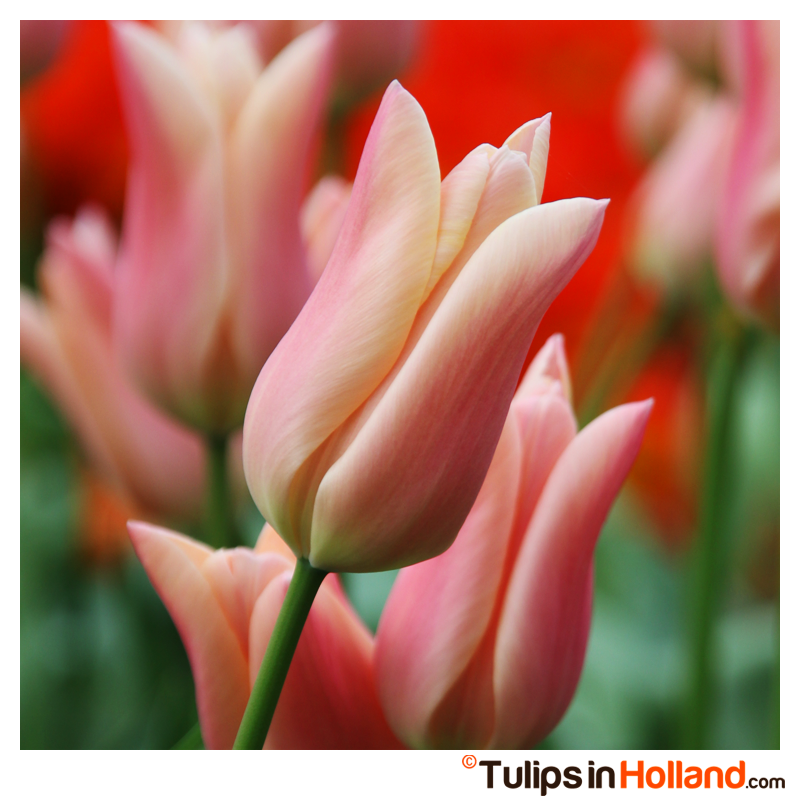 Every year the most asked question is, when are the spring flowers like tulips in bloom? From now we start with a weekly flower update on the blog. Every Wednesday information about the blooming status of the flower fields and Keukenhof is posted here on the blog. If you sign up for the Tulips in Holland Newsletter you will receive it on Tuesday morning in your mailbox. We keep this update running until the last week of opening of Keukenhof mid May. The sun is shining and the temperatures are finally getting a bit warmer. I visited two bulb farmers last weekend and they both expect the tulip fields in bloom by the 2nd or 3rd week of April. Keep in mind that it is still nature, if the weather change this prediction will change with it. On Twitter I retweeted a photo how the tulip fields look like at this moment. Still in a very early stage, as you can see here. The other flower fields with daffodils and crocus are getting more green. I expect to see them first blooming in about 2 to 3 weeks. The hyacinths will follow around the end of March/ beginning of April. It looks like it will be a colorful Easter time! If you are traveling around April and want to know if the tulips are in bloom by the time that you travel, please read this blog about the blooming of tulips first. If you are interested in the Weekly tulip updates of previous years have a look on this page. Speaking about Easter Have you ever made origami tulips? I found it a fun activity to do with kids. I found a tutorial on Youtube. Have a lovely week ahead! If you have any questions please let us know in the comments or find us on social media. Tulip Bulb Scams - Don’t buy tulip bulbs during springtime!